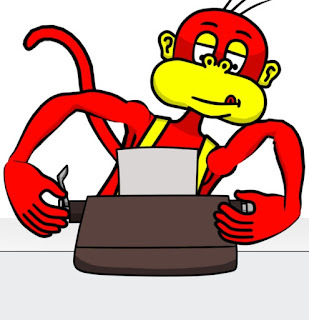 Work on my Infinite Monkey Theorem, animated short has mostly stalled in the last few weeks. Readers of my other blog will know I've been struggling with a neck injury (sometimes referred to as 'Computer Neck') that has made doing any kind of lengthy computer work a literal pain in the neck. I'm getting through it but, if you spend a lot of time in front of a computer, I highly recommend you take five minute breaks, at least every 30 minutes, to walk around and do some neck stretching exercises. Anyway, to get this project back on track, I'm trying something a little new to create my video diary of my latest work. Recently I purchased a new Logitech HD webcam (my old webcam was a pre HD relic) which I've teamed with OBS studio, a free application staple, used by live streamers everywhere. OBS Studio allows you to not just stream but also record to a single video file, multiple video/audio sources into a single production. Kind of like a TV studio recording a live show. You can set up multiple cameras and switch between them at the touch of a button. In my case I have two webcams, two monitors and a single microphone all feeding into OBS studio. I'm able to stream video from either monitor into my production, with or without a webcam overlay of myself in the bottom corner of screen. I can also just record my webcam at full screen. I have a second webcam pointing at my actual desktop for those occasions when I want to record myself using traditional art media like pencil and paper. I can also overlay my other webcam onto this webcam feed. OBS Screen Capture. Desktop with webcam inset. Regardless of which video feed is being recorded all the audio is recorded with the same desktop microphone ensuring consistent sound quality throughout. The reason I decided to use OBS studio, apart from its sheer flexibility, is that it means I can record a complete diary video as it happens. After that, the only editing I really need to do is to cut out any mistakes or overly long sections, and add my titles. Much easier than recording with multiple cameras and screen recordings individually and then trying to sync everything up (and putting in all the camera changes etc). If you do any kind of video work that involves multiple video/audio streams I'd seriously consider getting hold of OBS studio (why not, it's free). It could well make your life easier. 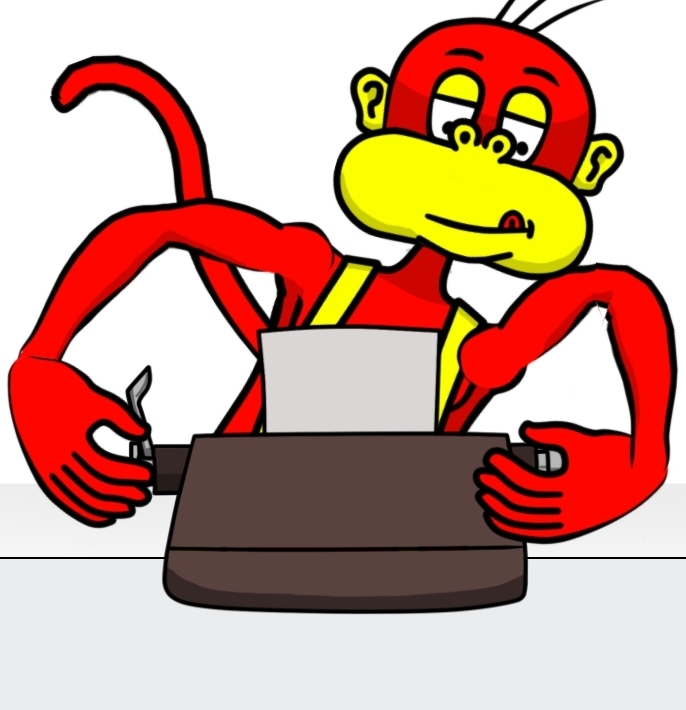 As an example, watch my update video below as part 4 of my Infinite Monkey Theorem, animated short, diary series. In particular notice all the scene changes, which were all done in real time and not later in post production (with exception to edits to remove unwanted footage). 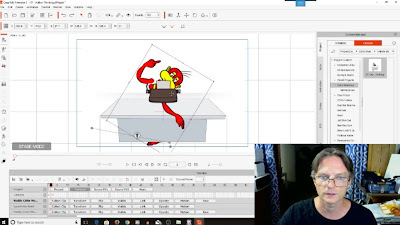 Oh, you may also want to watch the video if you're interested in how I used CrazyTalk Animator 3 to help create my final draft storyboard for Infinite Monkey Theorem too.